Ultra-fast write and read speed with this professional-level memory card enhance the capabilities with High-end DSLRs and High-definition 4K cameras. 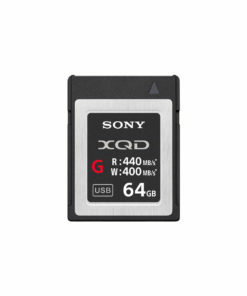 With their extremely fast write speeds, Sony XQD G Series Memory Cards are ideal for continuous raw burst shooting with hi-end DSLRs, letting you capture up to 200 RAW images which is 1.5-times more shots per burst than with Compact Flash cards. 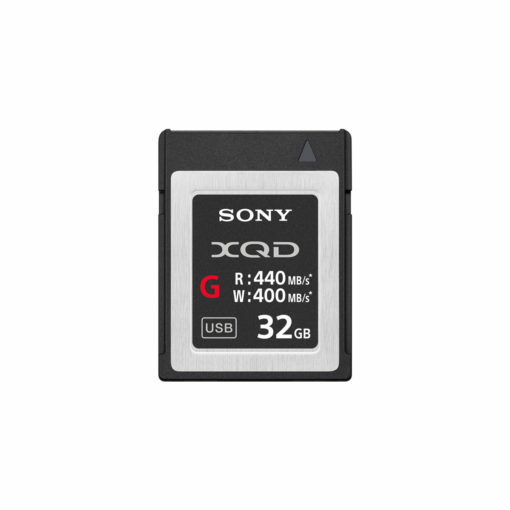 Sony XQD G series memory cards are designed to keep pace with the shooting speed of your camera to clear the memory buffer fast. You can capture more decisive moments and bursts of continuous shooting even with hi-end DSLRs. Sony’s unique controller ensures stable 4K video recording thanks to two-way communication to manage data bottlenecks with compatible cameras. A 128 GB card offers approximately 100 minutes of 4K XAVC-S (150 Mbps) recording using cameras like Sony’s 4K FDR-AX1. Sony’s unique technologies increase shell strength to improve durability, while recessed contact pins protect them from damage, dust and electrostatic shock for reliable performance even in harsh environments. 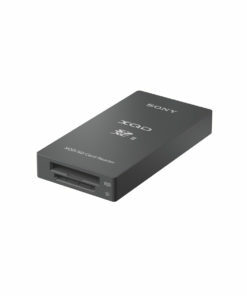 Sony’s XQD/SD card reader and USB adapters are the best match for XQD G Series cards and dramatically reduce data backup time for a more efficient work flow. Transfers are twice as fast as CompactFlash card. 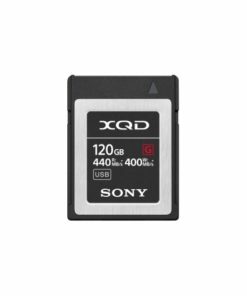 Sony’s XQD memory cards are Shockproof, magnet proof, anti-static, and resistant to breakage, and offer full performance even in extreme temperatures, under exposure to intense UV light and airport X-rays machines. Designed for prolonged professional use, Sony XQD cards are tested for dependable storage, wherever you need to shoot.